Ever wondered how to uninstall discord on Mac completely? Find out how to remove this app in this guide! Part 1. What is Discord? In the sea of applications being developed and released every day, we often wonder which one is for which since they are too similar to each other. However, these apps specialize in various fields. Discord is a free messaging app that offers text, video, and call for gamers. If you are a gamer, especially in MMOs or Massive Multiplayer Online games, you need to interact with other players to by talking and messaging them. Instead of using VOIP or voice over internet protocol, they use Discord. Discord is considered a social networking platform because players need to log in with their username and password. Players can join a thread that they have been invited to or they can make their own private servers and invite friends to talk about the games they play. Interactions happen between logged in users in the app. Discord allows them to get to know other players nearby through turning on the ‘Nearby’ and ‘Location’ features. Gamers can find, and add new friends with these features so they can interact while playing online games. What makes this app different from the others is that people join Discord to build private and invite-only groups. This means you can choose who can message you directly, who can add you as a friend, block a person, who can join your server, choose your server, and ability to set security and verification of your servers. Apart from finding out who’s ready to chat with, discord also lets you share images, videos, and links directly from your phone or desktop. It also embeds most types of media in the chat. Like any other social messaging network, there are occasional issues dealt in Discord too. The most common is abusive language. Also, this app is purely a messaging platform, but like others, most players initiate mature conversations and share mature contents. Under the same settings, you can also block unwanted messages and friends. Most parents are aware that their children play online games. However, if you are one of those who decided to remove this app as part of discipline, you can proceed to how to uninstall discord part of this guide. Manually removing Discord is time-consuming especially when you are not familiar with its related resources. You might end up messing your system if you hunt these apps down. For uninstalling discord smoothly, use PowerMyMac to easily remove applications and other residual files on Mac. PowerMyMac Uninstaller has the ability to search a specific app and its related contents in a matter of seconds. It scans through your device and shows you all the related apps so you can choose which ones to remove completely. Uninstaller is only one of the powerful tools of PowerMyMac. It has many more options you can use to optimize, clean, and maintain your device. In just a few clicks, you have completely removed and uninstalled Discord from your Mac. 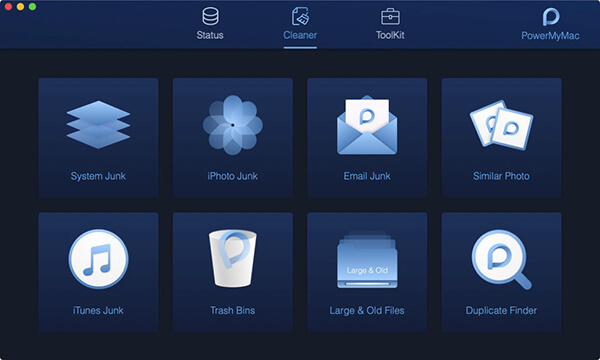 You no longer have to worry about the traces left behind by app/s that can clog the system. Search for the Discord app and drag the icon to the Trash bin. You can also right-click the Discord icon and click Move to Trash. What to do when you cannot delete Discord? In some cases when you are trying to remove Discord and you receive a message “The item Discord can’t be moved to the Trash because it’s open”, this might mean that the app is still running in the background or its background process. You can simply quit other related background processes by going to the Activity Monitor. Launch the Activity Monitor from Applications folder then click on Utilities. Uninstalling an app does not mean you have completely remove it including its affiliated resources. Some apps still leave traces behind and still consume space on your system. Another option on how to uninstall discord from Mac is via the AppStore. This is if you have downloaded the said app from the same marketplace. Discord is a free social messaging app dedicated to online gamers. This app gives freedom to each player to customize their conversations by taking advantage of its features. In case you no longer need this app, we have given you several options on how to uninstall discord on Mac. You can choose which one works best for you.